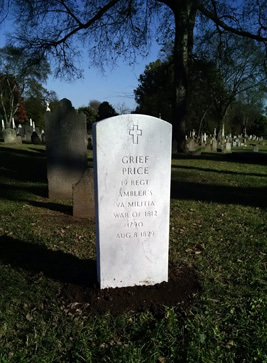 Grief Price was born in Henrico County, Virginia in the time period between 1780 and 1790. Although little is known about Mr. Price's antecedents, military records indicate that he fought in the War of 1812. 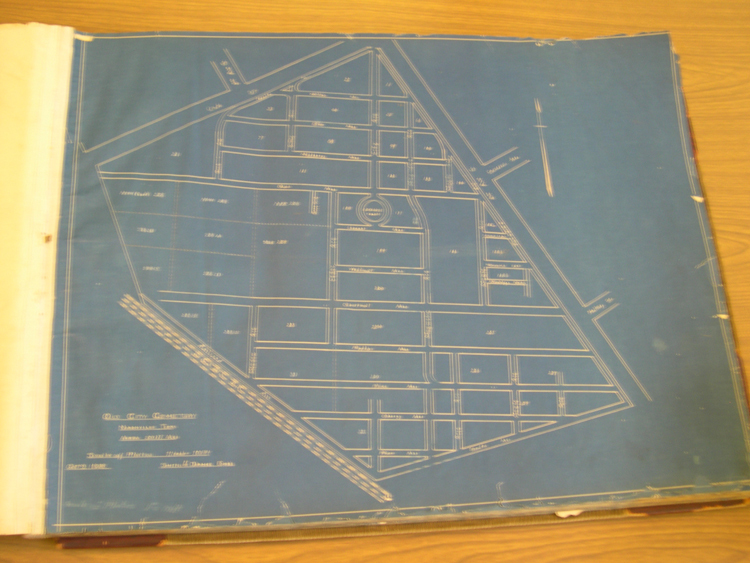 He was enlisted in the 19th Regiment (Ambler's) Virginia Militia with the sons of many prominent families in the area. At the conclusion of the war, Grief Price successfully courted and married Miss Julie (or Julia) Bainbridge on February 5, 1816, in Louisville, Kentucky. The union proved to be of short duration. Julia's death is estimated to have occurred sometime in 1819. Grief and Julia did celebrate the birth of a daughter whom they named Elizabeth Juliet Price after her maternal grandmother Elizabeth Taylor Bainbridge, the wife of planter Absolom Bainbridge. On March 18, 1821 Grief Price married for a second time to Miss Maria Cocke, the sister of William Archer Cocke, the third mayor of Louisville. On February 12, 1826, this union produced Grief's second child and only son who was named John Thomas Price. Although it is not known when Maria Price died, her son's biography indicates that he was orphaned early and raised by his maternal uncle. For this reason it is generally accepted that Maria predeceased her husband. Grief Price died at the home of Mr. George Ament in Nashville, Tennessee, on August 8, 1829. He was buried in Nashville City Cemetery.